HANOI, Jan. 24 (Xinhua) -- Vietnamese police officers will be mobilized to patrol at general and specialized hospitals from national to district level, to protect medical workers, local media reported on Thursday. 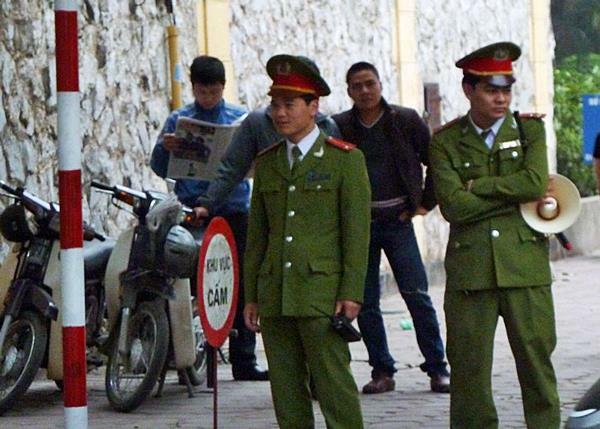 The patrol is part of joint efforts between the healthcare sector and the public security sector in response to recent cases in which medical workers were reportedly assaulted in the workplace by patients and relatives of patients, daily newspaper Vietnam News reported. Number of assaults in the healthcare sector accounted for a quarter of total workplace violence, said Luong Ngoc Khue, head of the Medical Examination and Treatment Department under the Health Ministry. Up to 80 percent of the assaults occurred at national and provincial hospitals, and 85 percent of the victims were doctors and nurses, he noted. In many cases, medical workers needed medical treatment due to their injuries. There are many reasons leading to the attacks including abnormal behavior of people addicted to alcohol, drugs or those suffering from psychological disorders; communication problems between health workers and patients; and work pressure from healthcare staff, among others. At least 22 violence cases in which doctors were attacked by patients and relatives of patients were reported between 2010 and 2017. In 2018, there were three serious cases.